Blogging is not just about telling your friends about your food habits, your daily routine or even perhaps showing off your skateboarding talents by posting some cool videos on it. No -, blogging has come a long way from just being an area of interest where we could write about anything and yet capture the minds of the online audience. More individuals are now using the blog as a handy tool to carve a niche market for themselves in the field that they are involved in. This is a great way to make yourself known in the field you are in. Why of all the things – Blogging? 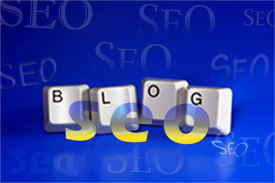 Well, blogging, since its inception, has been a great way to easily add content and also increase your SEO rankings. You might just be wondering what has blogging got to do with SEO. Well … a lot actually. 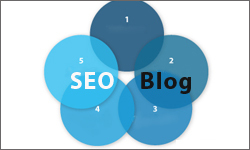 Here are a 5 reasons blogs actually help boost your SEO. Search engines love content. Fresh content. What the search engine does is ‘decipher or understand’ your content and simply start indexing it under a particular category. That’s right. Your content is accepted and indexed right away such that search engines want to present its readers the best and latest contents from your blog. Search engines are constantly updating the search index. Its like a 24 hour call center. Good blog owners are constantly updating their content. Sometimes more than once a day. Human nature – hence the best blogs talk about the latest topics in a given category. Which means fresh and relevant content. Sounds good eh? Search engines think so. The relevancy factor is one of the most important features while an index is conducted. 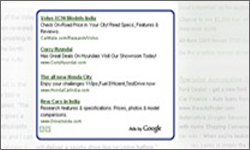 It indicates to the search engine that the most relevant search information is here while showing relevant search pages. Your content gives the search engine a chance to talk about what you have to say about a given topic. Blogging usually means pin-point concentration of relevant keywords about the subject or topic you are writing about. Example – you are talking about style sheets, then your blog would contain a lot of words like “style”, “cascading style sheets”, “CSS” and so on. You are talking about Internet Marketing in Toronto. 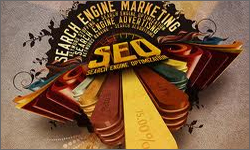 So your blog will include lots of keywords related to the internet marketing industry and its place in Toronto, Canada. Blogs are structured in such a way that its very easy for the bots or crawlers to crawl. Blogs like WordPress are well structured, to the point you will find the menus sitting up nicely on the left with your latest post on a section and an archive of your posts. The best part is that the interlinking and links to other prominent websites or blogs are easily administered. Due to strong interlinking policy that you follow, crawling your blog becomes that much easier. Yes, a blog is considered an area of very rich information. This fact is assured when your blog speaks about the niche you have to present. Not only would you want to get linked to many such related niche websites, but you will find them wanting to link back to you. Awesome, isn’t it? So, what follows next is that all search engines (that crawl your weblog) start to consider your blog as a niche for promoting your product or service and improve your position and rankings. When you are linked from other websites its considered good for you. In the old world, you would find it difficult to link to websites as the trust factor is not so high. With blogs, the trust factor is high! So what are you waiting for? If you need help figuring out who to start your blog with make sure you check out this article! Blogging takes just too much effort, though. Maxx precise post! True, most blogs only have a few areas, namely the ‘home’ page and the ‘archive’ page. But depending on the tool being used (say for example wordpress) to post the blog, there are some places where we can take advantage seo-wise. Hey Maxx one of our clients wants to add a blog now as he realized one of his competitors always out ranks him. The competitor has a blog page that is updated at least once a week! I always say numbers do not lie and a blog is an easy way to make your site search engine friendly! Thank you everyone. yeah Elan, blog does help the spiders to visit our website. I must say its a source or gateway to even promote our website. Awesome article MaXx. I have heard a lot about blogging, I do read lot of blogs as well, but I never knew blogging helps SEO so much! Hi MaxX, I just want to add another reason here. Now i know why every website is keeping a strong, active blog session. You spoke out on blog’s SEO side, and its highly informative. So blog means more than an information source. I guess text-rich, link-rich, frequently-updated blogs purport our site’s organic rankings. Blog posts in most cases have fresh content; and that’s what search engines really love. And there would be many who would like to link with the blog, bringing in additional links. Yes, it should really help your SEO process. Very useful post. Maybe the key to make blogging work is to have a judicious mix of creative writing and optimizing. An overdose of either can cause your rankings to dip. And as the post says, it is important to keep updating the blog as frequently as possible since both readers and search engines reward updated content with repeat visits. Search Engine Optimization	SEO Makes My Head Hurt!